Creator of speakSMB & Chief SMB Officer of RSL Media. For a few years now, I have been sharing my ideas and intel with enterprise companies on how to better market and sell into small and midsize businesses. These ideas and solutions have led me to create speakSMB, a website that I hope will allow your sales and marketing teams to improve their understanding, engagement, and ultimately conversion of the SMB buyer. You’ll not only hear from me, but from clients and other subject matter experts. I welcome any ideas you have, simply contact me here. 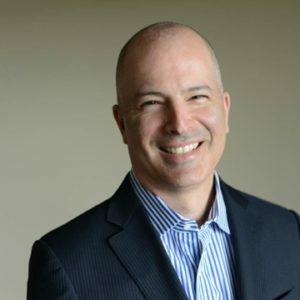 Rob Levin is Chief SMB Officer of RSL Media, a company that builds programs for enterprise companies to engage, nurture, and convert SMB buyers. With his media origins, and experience running small and midsize businesses, dozens of companies have turned to Rob and RSL Media to improve their SMB engagement and revenue. After beginning his career as a CPA for a Big 6 firm, Rob was C-level executive (CEO, COO, CFO) at several businesses ranging from $1-24 million in revenue. Because these companies were all growing fast during the beginning of tech-disruption, he was always looking for better ways to run the business. Fed up with the lame content available for small and midsize businesses, Rob joined the ranks of entrepreneurs and started The New York Enterprise Report (NYER), an RSL Media company, in 2003. In 2014, RSL Media sold NYER and now exclusively focuses on building content-driven audience development programs for brands targeting SMBs. Rob lives in the Riverdale section of NYC with his wife and their two children. He’s still an aspiring rock star who, in his heyday, enjoyed promoting performers such as Red Hot Chili Peppers, Bob Dylan, and Elvis Costello. Sign up for our newsletter, to receive critical B2SMB insights and ideas that you can use along with helpful content not posted on speakSMB.